Can it yield the same results as a strict diet? – Yes! Is it superior to other diets? – No! The days are long gone when eating boiled food was a mandate for achieving your fitness goals. Flexible dieting has created a revolution in the fitness industry by simplifying nutrition for fat loss and even muscle building. The core idea of Flexible dieting is: “ No foods are bad. And your body is concerned with the nutrients, not the source “ However, people still doubt the efficacy of flexible dieting and believe a stringent diet comprised of so-called ‘superfoods’ will always yield superior results. In this article, we’ll educate you regarding everything you need to know about flexible dieting. Like it or not the word ‘diet’ has a stigma attached to itself: it has to be perfect, else it is useless. People develop this mentality that when they are dieting, they have to be on their DIET 100%. And there is no harm with this approach until they are able to stick with it. The problem is that any slip off, no matter how small, is taken as a complete and utter failure. Next, the diet is abandoned and the post-diet food binge begins. We have all either known (or been) the following person: one cookie is eaten in a moment of weakness, and since the diet has technically failed, the entire bag of cookies is GONE! Of course, there are individuals for whom a strict diet is necessary like a bodybuilder dieting for a contest, a model aiming to get a photoshoot done or an athlete trying to cut down to a specific weight class. For everyone else, seeking perfection means seeking failure. Next reason for the failure of diet is focusing only on the short-term goal. People aim to lose a lot of fat in a small period of time by following extreme diets and then return back to their old activity and eating habits. As a result of all the fat also bounces back. If you wish to get lean and stay lean for the rest of your life, (painful words ahead) you have to follow your fitness regime for the rest of your life. And this is nearly impossible with a strict diet. If you can stick to a Keto, Paleo or Intermittent Fasting diet effortlessly there is no reason to try something else. 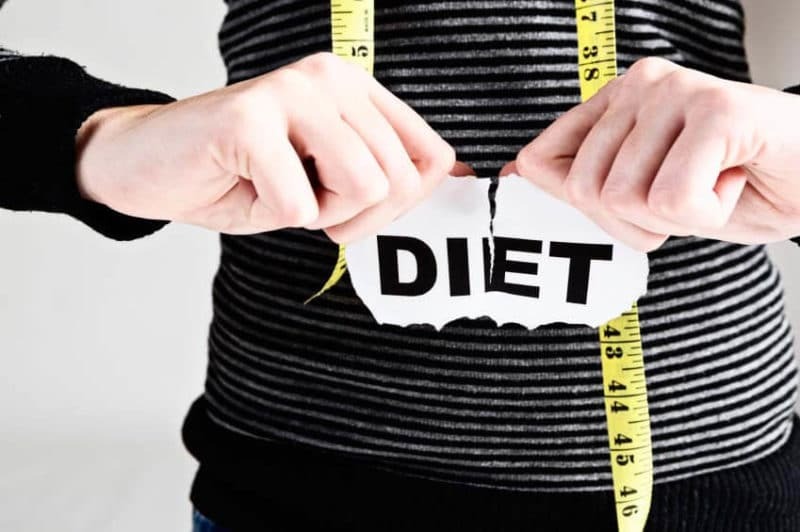 For everyone else who is having a hard time dieting, Flexible Dieting can offer a solution. What is a Flexible Diet? Dieting for a photoshoot? – Macronutrient accuracy can be increased. Is it effective as a strict diet? If you consume more calories than you burn, you will gain weight (muscle & fat) and if you consume fewer calories than you burn, you will lose weight (muscle & fat). By optimizing nutrition, training, and supplements fat gain during muscle building and muscle loss during cutting can be minimized. Flexible dieting is simply based on this mechanism of energy balance. Like mentioned earlier flexible dieting is highly personalized. If your goal is to build maximum muscle, then your flexible diet will be a lot different from someone who is merely aiming to lose fat. People often consider Flexible dieting and IIFYM as the same thing which is a big misconception. IIFYM is an eating style that focuses solely on hitting the macronutrient goals, it is a great strategy but it requires a certain level of nutrition experience and mental effort (if you are randomly eating foods, you constantly need to do macro calculations). This can result in inaccuracy and a lot of mental fatigue for beginner dieters. IIFYM is a type of Flexible diet. Whereas flexible dieting works on a spectrum with something for everyone based on their goal and nutrition experience. Ad libitum is Latin for “at one’s pleasure” or “as you desire” In nutrition, this means free feeding with no restriction on amount or type of food. This way of eating is for absolute beginners who desire to make a healthy shift in their lifestyle. It puts no constraint on eating Hence it is completely suitable for novice dieter. A person can continue his/her current eating habits and make minute changes as per their goals. For example, if your goal is to lose fat you can continue with what you are eating currently and simply replace your one meal with a salad. On the other hand, if your goal is to gain weight you can add 1 additional meal consisting of some calorie dense foods like cheese or nuts or even a serving of mass gainer. Once decent dietary awareness is achieved, calorie counting can be introduced. This method incorporates the foundation of every diet i.e. ‘Energy Balance’. If you consume more calories than you burn, you will gain weight (muscle & fat) and if you consume fewer calories than you burn, you will lose weight (muscle & fat). It does not put any constraint on the type of food in the diet and macronutrient profile, the total amount of calories consumed throughout the day is what matters. It is suitable for beginners and intermediates whose primary goals are either weight loss or weight gain. Note: these two goals are different from fat loss or muscle gain. Calorie counting is favorable for people trying to get lean. Because when people talk about increasing weight they desire most of it be muscle weight, for which the next method is more suitable. This method is for people who wish to achieve a more muscular physique. The goal here is to get adequate protein and enough calories as per your goal. If you wish to maximize your strength and muscular potential 2.2 to even 2.5 grams of protein per Kg body is advisable. The higher end of protein intake is recommended during a fat loss phase. Carbohydrates and fats can be adjusted as per. IIFYM aka ‘If It Fits Your Macros’ is perhaps the most popular flexible diet strategy in the world. Major credits for the popularity go to Fitness YouTubers and influencers. IIFYM puts a constraint on daily macronutrient intake but not the type of food one eats. It allows a person to achieve high levels of fitness goals without compromising on taste. 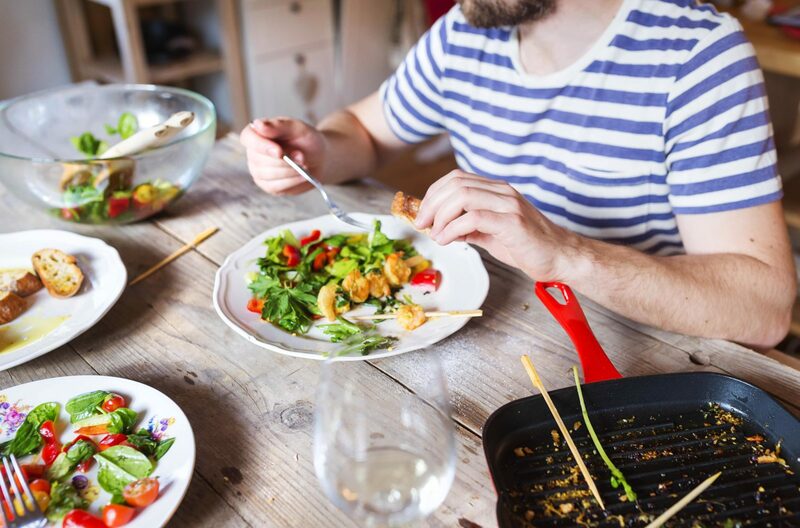 Lack of micro & phytonutrients: Since IIFYM primarily focuses on macronutrients, there is a risk of missing out on key micronutrients due to poor food choices. A hundred grams of rice and a pack of chocolates might have same macronutrient profiles but there a huge difference in micronutrients and fiber content. Inaccuracy: This is an extremely common problem people face trying IIFYM i.e. error in calculating macronutrients. People frequently complain of not losing weight despite being on a caloric deficit, the truth is: they are actually not in a deficit and simply miscalculating macros. Mental Fatigue: As there is a lot of random food consumption on an IIFYM diet, there is a lot of calculation required. This task irrespective of nutrition experience adds up to a lot of mental stress. This is how I recommend my clients to eat, it is how they achieve results and are able to maintain it for lifelong. We take the advantage of flexibility in IIFYM, yet add a little structure to the overall diet to increase accuracy and reduce mental fatigue. Firstly, we make sure there are some fixed meals like a serving or two of fruits for micronutrients and a serving or two of nuts for healthy fats. Next, instead of solely focusing on daily macros, we aim to hit macros per meal, keeping it possibly as similar as planned. For example, if a person has 70g carbs in lunch for which he is supposed to eat 10o gram rice, he can replace that with some other food item having a similar macronutrient profile like 3 rotis, 4 slices of bread and even a burger. This strategy works far better than regular IIFYM. I hope you learned something valuable from this article, for quality and authentic supplements imported directly from distributors you can check out our online store.